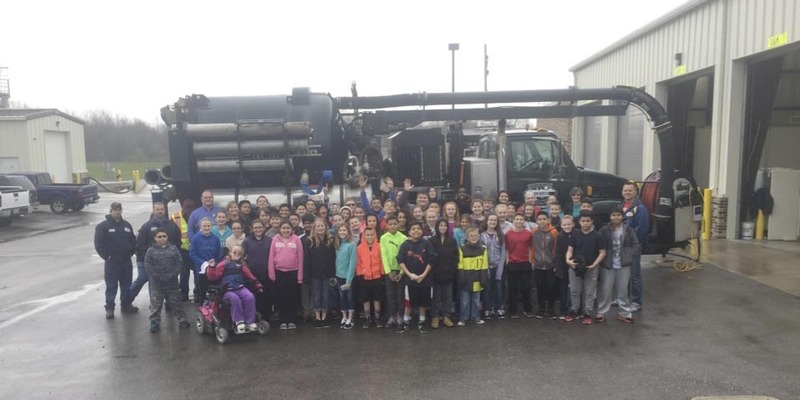 WARSAW — The City of Warsaw Wastewater Utility hosted Madison Elementary for a tour of the wastewater treatment plant. The tour included exploring the lab, observing the wastewater vacuum and camera trucks, engaging in a stormwater activity and receiving a presentation from the Utility Manager, Brian Davison. Not only this, the students were led throughout the plant to witness the completely biological water treatment process. For more information regarding educational tours, contact the City of Warsaw Wastewater Treatment Plant at (574) 372-9562.